The home page of Barry Thornton on the BC Adventure Network. Barry M. Thornton is a monthly contributor to the BC Adventure Network. He is the author of five B.C. fishing books; "Steelhead, The Supreme Trophy Trout", "Steelhead", "Saltwater Fly Fishing for Pacific Salmon", "Fly Fishing, the Thornton Anthology", and a fact/fiction book, "Salgair, A Steelhead Odyssey". 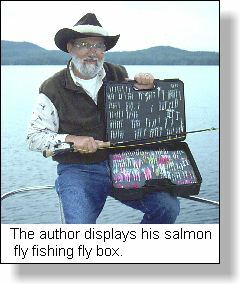 He is also a co-author of "The Gilly", "West Coast Fly Fisher", and, the B.C. 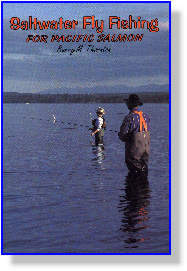 Adventure Network's, "Masters Series Book 1, Fly Fishing British Columbia". Over the years he has traveled, fished, hunted, photographed and written about all regions of British Columbia. As a world traveler he has written of his fishing and hunting experiences in Japan, France, New Zealand, and many locations in the United States. To date he has published over 1000 outdoor columns and magazine articles and, over 1000 photographs. He is a popular speaker who has presented many seminars and talks wherever he has traveled. Check out Barry's Books to learn more about each title or to acquire an autographed copy. 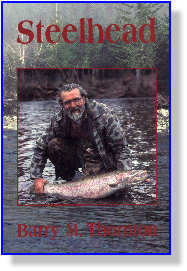 "Steelhead is written with the thoroughness Thornton has become known for in his magazine articles ... Barry knows steelheading. Thornton continues the role he's had to so many people, teaching readers the finer points of fishing for a highly fickle species, while tying it in with conservation and proper stream management. Thornton covers it all and covers it well." - Dave Wiwchar, Island Angler. 92pp. ; sketches; paperback, and, Numbered Limited Edition signed hardcover. 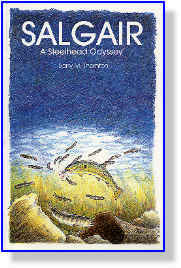 "Salgair - A Steelhead Odyssey, is the story of a steelhead through its complete life cycle. 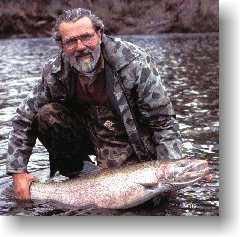 Barry has successfully captured a unique and informative approach to informing the reader about the steelhead's life history."